Gorgeous home in the perfect location. 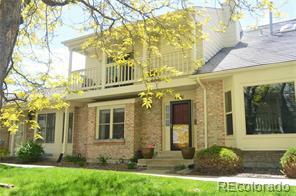 This townhome has been upgraded throughout. Granite Counters, upper-end stainless appliances, wood and tile floors, updated woodwork and doors, custom fireplace, lighting, and on and on. The basement has been professionally finished and ads great living space including a rec/tv room, a beautiful 3/4 bath, and a large bedroom. Laundry is in the basement hidden behind amazing sliding barn doors! Right near Arapaho Park and walking distance to shopping/dining! Fantastic neighborhood includes a community pool! Don't miss this one!